The word’s first science based statistic system for golf founded by Darren May. Formally the director of teaching at Silvermere, Darren currently resides in Jupiter, Florida, where he is the director of instruction at the Bears Club coaching PGA Tour players, with the likes of Kevin Streelman, Camilo Villega and Cameron Tringale. Take your greatest range session to the golf course? Improve the quality of your practice? Reduce your handicap or aspire to PGA events? Train the way the top player train? Be in complete control of your goals? Aspire to be the best you can be? 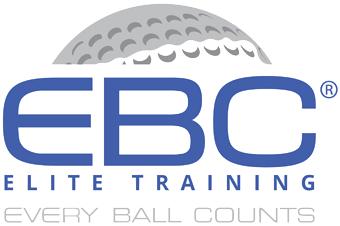 EBC teaches the player to perform the same golf swing whether in practice, club championships or the masters. Improve in the most efficient way possible using science and data. “At the end of the day, our program is only as good as its results. I am a full supporter of the EBC Elite training system and when I train this way my results improve. Any player who wants to improve his ability to score needs to train this way as not only are the results scientifically proven but practice is much more effective. This training challenges me to become a better player. I began working with the EBC testing programme last year, it highlighted specific areas of my game that needed improving. By the end of the season my stroke average had dropped by a full two shots, I had 14 wins, topped the PGA South Region money list and gained a place in this years BMW PGA Championship at Wentworth. Anyone wishing to rapidly improve their game, should definitely try this programme. Since I’ve started working with the EBC team my overall game has improved allowing me to reach the winners circle. This training method gets immediate results for golfers at any level. I can only imagine how much further along I’d be if I had the chance to learn this system as a junior. I have recently started working with Ben and EBC, about 5 months ago. In that time Ben has analysed my strength and weaknesses, in order to decide where we should start. Consequently we found my putting and short game was not good enough so we have been working hard on that, the results are showing already as my handicap has been cut from 10 to 5, in this short space! We haven’t just been working on short game we vary the lessons to improve each area, normally we work in one of the studios with a launch monitor, this is where Ben is an expert helping me to understand and develop my game while improving my knowledge of my numbers that I generate. Overall I think that Ben is a very very good coach, is very dedicated with early starts and late evenings and I believe that Ben has a brilliant understanding of each aspects, be it putting, short game and long game along with preparing you mentally. Contact us today to find out more or to arrange a consultation with an EBC Certified Coach on 01932 584384. We don’t just change how you play. We change you.